Unlike most network connections, joining a Homegroup in Windows 7 is quick and painless. Windows 7 added the new Homegroup feature to streamline the networking process and provide a simple way to let every PC in the house share files, including music, photos, and movies, and even the household or office printer. Only Windows 7 PCs can join a Homegroup network. However, if you have an older version of Windows, you can still establish a regular network with a Windows 7 computer that is part of a Homegroup. Also, PCs running Windows 7 Starter Edition can’t create a Homegroup, but they can join one. 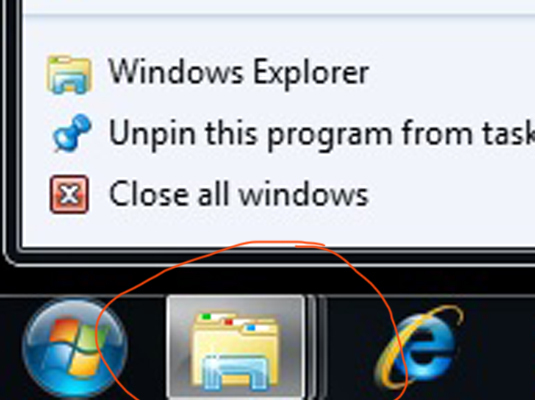 Click the Library icon on your taskbar to launch your Libraries window. Right-click the Homegroup link in the Navigation Pane and click the Join Now button. If you spot the words Create a Homegroup instead, a Homegroup hasn’t been created for your network. You’ll need to create a Homegroup on one of the computers in your network. Decide what items to share on your Homegroup, and click Next or Save Changes. Select an item’s check box to share it; remove the check mark to stop sharing. Windows 7 normally shares your Pictures, Music, and Videos libraries, as well as any printer that’s attached to any PC on your Homegroup. You might want to leave your Documents library unshared if it contains more private items. Sharing a folder simply lets other people access that folder’s files — view the pictures or watch a video, for example. They can neither change nor delete those files, nor can they create or place any files in your folder. Type the Homegroup password and click Finish. Type in the password given out by the PC that created the Homegroup. The password is case sensitive so be sure to type it carefully. To see the password, head to the PC that created the Homegroup, right-click the word Homegroup in the Navigation Pane, and choose View Homegroup Password.